Why Is It Hard for OFWs to Save Money? You’ve been working hard overseas, hoping to give your family a better life and more secured future. You sacrificed a lot, even giving up some of your needs, just to send money back home. You even took several side jobs to make sure you make ends meet. By the end of your contract and as soon as you get home, you realized that you don’t even have enough money to last you for a week! Feeling responsible for everything will make it hard for you to save money because you put the needs of others first instead of your family’s financial security. Teach your family to save and even encourage them to open a small business to avoid placing all of the burden on your shoulders. You are creating a dependency mindset, which you will continuously carry with you every time you leave the country. Even if you put a cap on remittance, you can’t help but buy yourself a new phone or even new clothes every week. You might even be spending too much on food you can’t even finish or choose to go for more expensive form of transportation when there is a cheaper alternative. Do you have investments? If yes, then good for you since you are in the right financial track. If not, then what is your reason? One of the reasons why OFWs are unable to save big amount is because of lack of commitment to do so. Don’t be tempted to buy all the beautiful things because at the end of the day, money spent is still money spent. Commit yourself to saving, no matter how small the amount is. Are you ready to correct these mistakes? It’s not too late. Are you the type of person who resort to borrowing in times of need? Lenders can be helpful especially when the need is urgent. On the other hand, you have to be careful because you don’t want to swim in a pool of debt, don’t you? 1) Where do you plan to use the borrowed funds? This is the first thing you need to ask yourself before you borrow money. Surely, everyone has needs with different degrees of urgency. Will it be used to pay for your child’s tuition fee? Medical expenses? Monthly amortization that you forgot to pay last month? Home renovation? Once you identified the purpose of your loan, ask yourself the next question below. 2) Is getting a loan really necessary? Some loans are necessary and acceptable. For instance, it is understandable that you can’t immediately shell out millions to buy a house and lot, so you borrow money first. On the other hand, there are expenses that CAN wait and something you can save up for. It is important to establish the degree of urgency for that particular expense that requires you to borrow money. If you simply plan to use it for vacation, then don’t you think it’s much better to just save for it first? If the loan is for payment of utilities, then don’t you think it’s better to evaluate your budget and see which expenses can take a backseat first? A loan is still a loan, regardless of where you plan to use the money. 3) What type of loan should I get? Assuming the need is urgent and necessary, the next thing you need to ask yourself is what type of loan should you apply for to accommodate that need. There are many loan facilities offered in the market that comes with different rates and benefits. Decide if you will go for secured (requires asset) or unsecured loan (often has higher interest). Go for the loan that is designed to address your specific need to make the most out of your loan. 4) How much should I borrow? You want to maximize your loan application, but do you really need a big amount for that expense? Borrow only the amount you need and stick to it. This way, you will minimize the risk of drowning in debt. Take advantage of online loan calculator too, to give you an idea on how much you will pay every month. 5) Can I pay for it? This is another important question you need to ask before applying for another loan. OFW life is not easy. Somehow, you are responsible for all the expenses of your family and at times, even your extended family. Before you apply, check your budget and see if you can accommodate another loan on your list of expenses. Use the amount in the loan calculator as a guide (and add a few hundreds to give you a ceiling) and see if you still have something left for savings every month. 6) Does the loan have flexible payment options? What is the mode of payment? Does the loan have online facility to make it easier for you to pay the loan? What about partner banks in the country where you are working? You can’t physically deposit the payment every month, so make sure that your preferred lender has online facility to accommodate payment. Issuing post-dated checks can be another option, but surely, many OFWs prefer paying online for convenience. 7) Where should I borrow? Loan sharks are everywhere, taking advantage of people’s constant need for money. Beware. When applying for a loan, make it a habit to research and find out about the different lenders that offer loan facilities based on your needs. Check interest rates and read reviews about them to help you trim your list. Choosing a lender is crucial because they will be your financial partner in times of need. Choose well. Getting a loan can be helpful and beneficial, as long as you know how to use it properly. Take some time to ponder on these questions before clicking the “Apply” button to avoid compromising your financial status in the future. Sometime in 2006, then President Gloria Macapagal-Arroyo conceptualized an OFW Bank, which wass intended solely for Overseas Filipino Workers aka “Bagong Bayani.” Unfortunately, it was never materialized. Fast forward to 2017 and as part of his campaign promises, President Rodrigo Duterte “OK’s” the establishment of OFW Bank, which aims to cater to the remittance and other banking needs of Filipino migrant workers from around the world. What exactly is OFW Bank? How is this bank different from traditional banks like BDO and BPI? How can it help OFWs? First, there must be a law. Apparently, an Executive Order is not enough to create OFW Bank. A law must be passed by Congress for the creation of the said bank through the acquisition of Philippine Postal Savings Bank or Postal Bank. Note: As of this writing, an Executive Order was already drafted for the execution of sale of Postal Bank to Landbank and is waiting for the president’s signature. Likewise, the Bangko Sentral ng Pilipinas (BSP) has approved this sale in principle. Once the law is created, the government must infuse P3 billion to make the OFW Bank operational, broken down into subscribed capital of P2 billion and P1 billion for the subscription of OFWs, thereby making you a part-owner of the bank. What can OFWs get and expect from OFW Bank? You get to save on remittance fees. Transferring money is not for free. Even banks charge a certain amount, depending on where you coursed the money transfer. Worse, you get to pay for high remittance charges just to send money back home. The aim of OFW bank is to allow Filipino migrant workers to send remittance with little to no fees, thereby helping you save a little extra for the rainy days. Become a part-owner of the bank. P1 billion is intended for OFW subscription. This means the ownership of the bank is open to 4.8 million migrant workers at P1,000 per share. That is something you want to work hard for as part of your investment. Loans have lower interest rates compared to banks. Did you know that an average OFW pays 5.2 percent every month for loans? That’s too high, considering the other expenses you have to pay for. The good news is that OFW Bank aims to lower the rates to make borrowing money more affordable for you. While the bank is not yet in effect, Balikbayad is still here to offer affordable loan for you. Two words: OFW ID. The OFW ID is not just a simple identification card. Once the OFW is operational, you can use the ID as a debit card and an ATM card, which makes it easier when it comes to remittances. You can read more about OFW ID here. It may still be a long process to go and until a law has been passed by the Congress and signed by the President, let’s hope that this plan will materialize. They say money makes the world go round. It sounds negative, but it’s true. Unfortunately, not many people don’t know how to handle money. Aside from not having a savings account, many OFW families prioritize different things instead of saving, investment, and retirement. Tip No. 1: Budget your money. Are you serious about not wasting your money? If yes, then you need to be serious about budgeting as well. Budgeting can help you a lot in managing your finances and making sure that you still have something left for yourself. By budgeting, you can easily areas you can “cut off” to increase your savings or any other funds. Make sure you stick to your budget to keep you on track. Tip No. 2: Take it easy on remittance. Admit it. A big chunk of your money goes to sending money back home. After all, this is the reason why you work hard – to be able to provide for your family and give them a better, more comfortable life. If you want to stop wasting money, then you need to take it easy on your remittance. Don’t feel responsible for everything back home – including the tuition fee of your second cousin’s daughter. Teach and encourage your family to help in finances and not just rely on you. Set a specific budget for monthly remittance and stick to it. You need to be prepared for what’s about to happen and sending most of your money back home won’t help. Tip No. 3: Shut down your temptations. Now that you are earning in dollars, every item you see is cheaper and more affordable compared to those items back home. “Sayang ang sale,” you might say, but you are doing more harm than good in your finances. Relax and take it easy on your purchases. Think twice (or three times) before you buy anything. Your kids don’t need new shoes every month and sending them the latest gadgets as soon as they come out won’t be beneficial for them. Remember: the smarter you are in your spending, the more you will be able to fill your various funds. Tip No. 4: Prioritize your expenses. This is why budgeting is VERY important. Aside from setting aside a specific amount for every expense, you are able to check which ones should be prioritized first and which expenses must take the backseat. You are also able to differentiate needs from wants, thereby giving you ample time to change your spending habits for bigger savings. Tip No. 5: Make sure to live within your means. Most Filipinos think that OFWs and their families are living the life. Imagine, earning in dollars? Sadly, not all OFW families are living comfortably. There are bills and loans to be paid and your bank account is far from reaching its first million. Still, you want to make an impression and post what you and your family have on social media. While people think that “maginhawa na ang bahay,” you, on the other hand, are trying to find ways to make ends meets. Therefore, live within your means. Don’t let the pressure of social media get into your and your family’s system. If you can’t afford to go on a vacation, then so what? Don’t bring you and your family down the drain with your financial troubles just for the sake of making yourself look rich in the eyes of other people. They say, “Strike while the iron is hot.” That’s true. This could be the reason why many OFWs prefer buying material things and sending a big chunk of hard-earned money back home. There are some things you weren’t able to afford before which you can buy now, thanks to your job overseas. This is the first thing you need to have as soon as you stepped the foreign soil. You already know that being an OFW is not forever. This is why you need to prepare for what’s about to happen, starting with a Savings Fund. Start small, say P500 to P1,000 every month. If you have side jobs, use the money you will earn to boost your savings fund. Eventually, increase your savings. The bigger you have, the better you and your family will be in the future. Accidents. Hospitalization. Calamities. Unpaid bills or debts. Kids’ tuition fee. These are just some of the many instances when you will need cash within reach to pay for these bills. This is why you should set aside a fund specifically for emergency purposes. You’ll never know what will happen and when emergency will come knocking at your door, so it’s better to be prepared for it. This way, you don’t have to use your savings to pay for emergency situations. One of the things you need to take care of is your health. As soon as sickness comes knocking at your day, your productivity and work performance are affected. If you refuse to have yourself checked, your illness could get worse and the next thing you know, your employer is sending you back home. Therefore, don’t underestimate your health and that of your family. Set aside a specific fund to cover for health-related expenses. If you want, you can use your extra income for your Health Fund so that your basic monthly income remains intact. How do you envision yourself 20 or 30 years from now? Despite the salary, you surely want to retire back home and be with your family. To help you live a comfortable life without relying on other people, make sure you set aside a Retirement Fund as well. This way, you and your spouse won’t be a financial burden to your kids or anyone else in the family. Read more about how to set up a Retirement Fund here. Do you know why many OFWs are still not living the millionaire’s life? It’s because they don’t know how to invest and grow money. Their usual excuse: they don’t have enough funds for investment. Don’t be like one of them. Growing your money is important because you can never work overseas forever. Know and explore the different investment options and choose the right one that is most suitable for your needs. Think long-term and make sure you diversify your money and don’t put everything in one type of investment. If you plan to open a business, then use this fund for your capital. Check out your investment options here. Do you have any of these funds? It’s never too late to start. Every time you open an account or apply for a loan, lenders, both banks and private financing companies will ask you this one important document: your Overseas Employment Contract. Aside from being a mandatory requirement, this piece of paper, also known as OEC, contains crucial and pertinent information about your job abroad, including duration of the contract, basic monthly salary, and employer’s information. What exactly is OFW’s Overseas Employment Contract? What information should it contain? Your employer’s information, including name of the company and address overseas. Your information, such as name and address. The agency or employer’s representative in the Philippines who hired you. Site of employment or the country where you will be assigned. The duration of the contract, starting from your departure in the Philippines to the arrival in the country where you will work. OEC must also include how long your job contract will be. Basic monthly salary in accordance with the prescribed standards or guiding rates. Offsetting benefits such as free food, free transportation to and from the worksite, and accommodation. Pay for services rendered during regular holidays, overtime work, and work rendered even during rest days. Employee benefits such as vacation leaves, sick leaves, medical and dental insurance, and compensation in case of sickness, accidents, injuries, or death. Personal life accident insurance, which is without cost to the OFW. Repatriation clause in case of death. Request for a translated (Filipino) version in case the employment contract is written in foreign language. Read and understand all of the contents before signing. Ask questions if you need to clarify something. Once you sign the contract, you are already bound by it because you agreed to the terms written. Ask for a copy of the employment contract and make sure you give a copy of the same to your family. Use it as your reference or guide, especially when you will file a complaint against your employer due to unjust practices. Know your rights and benefits as a worker. Take note that the terms are based in the labor laws of the host country or agreement between the Philippines and the host country. Beware of employment contract scam. Some employers will force you to sign a different contract from what you previously signed, which contains terms not favorable to you. This is usually done either before boarding/departure or upon arrival from the site. Assert your rights as a worker. Your Overseas Employment Contract is important. Take note of the minimum requirements set forth by POEA and remember the tips mentioned to ensure that your rights as OFW is protected. Should OFWs Get a Life Insurance? There are various ways you can invest your money. Aside from savings, you can also try other investment options like time deposit, mutual funds, UITF, or if you are willing to take that risk, stocks. Apparently, most OFWs stick to savings account only because it is easier to open and maintain, coupled with remittance features. One of the investment options often overlooked by OFWs is life insurance. “Ayoko magbayad ng premium. Hindi ko naiintindihan yan,” you might say. Before you close your doors, here’s what you need to know about life insurance and whether or not it is worth it. Life insurance is a form of protection against financial loss as a result of premature death of the insured. This means the beneficiary of the insured will receive the proceeds of the policy in order to provide financial security in exchange of the premium paid. Endowment – This type of life insurance is for people who are looking for maturity benefits at the end of the specified period. This is ideal if you are after shorter terms in order to fulfill periodic financial goals and to secure the financial future of your dependents. In case of death prior to the maturity of the term, the insurance company will offer lump sum amount to the beneficiary. Whole Life – This is bought for lump sum benefits upon death of the insured and to be given to the beneficiaries. It also offers lifetime coverage at low premium payments. This type of life insurance is recommended if you want to buy an insurance coverage early and pay the premiums during your productive years. Term Insurance – This is the most popular form of life insurance because your beneficiary pays for the face amount only upon death. If you cannot invest in endowment or whole life insurance plan, then term insurance is highly recommended because of low premium payments. Variable Universal Life (VUL) – This type of life insurance is where the premiums you paid will be invested by fund managers into market-linked instruments like stocks, with the investments administered as a separate account. This is recommended because there is no maturity, death component is not limited to the face amount, and there is a possibility of growing your money. A form of financial protection for your family since the lump sum amount can help your beneficiaries to cover up for the sudden loss of income. Works as your savings and investment tool, especially if you go for the Variable Universal Life policy. Serves as your retirement income since life insurance products come with long-term maturity. Helps settle immediate financial needs as a result of sudden death of the insured. Educate yourself about life insurance. Read reviews, watch videos, attend seminars (if time permits), and talk to registered financial planners or insurance agent, if possible. Don’t be afraid to ask questions about concepts you don’t understand. The more informed you are, the better the decision-making will be. Shop around, request for a quotation, and then compare before you say yes. Always go for reputable and legitimate insurance companies. Look for an insurance policy with online facility. This way, you can still avail of a policy even if you are abroad. Think about your family’s future. This should be your guide to help you decide on what to get. Should you get a life insurance? If your budget permits, then go ahead and get an insurance policy. Keep in mind that the OFW life is not forever. In fact, it will always be full of uncertainties and you’ll never know what will happen in the future. It’s better to be prepared than feel sorry in the end. Applying for a loan is one thing. Getting approved and paying for that loan is another story, especially if you have several under your belt. Although getting a loan can help augment certain finances, you need to make sure that you can pay off those loans as soon as possible and start saving up for the rainy days. Tip No. 1: Know how much you owe. This is the first thing you need to do if you want to get out of debt. List down all of your debts, including the amount, interest rate, monthly amortization, and due date for each loan. This way, you can easily see which loan you should prioritize. Tip: There are two options when paying off a debt. You can go for the loan with the highest interest rate OR start paying off the smallest loan amount to make it easier for you to reduce the number of debts you have. Tip No. 2: Try negotiating with your creditors. Let’s say you have multiple loans with almost similar interest rate. What you can do is to go to your lender and request for a possible consolidation of loan. By doing so, you will be able to reduce your loan to one with one interest rate and due dat. Consequently, you can negotiate changes in your interest rate to lower your monthly amortization. When you do this, back this request with sufficient amount of savings and a good credit score to make it easier for the lender to approve it. Tip No. 3: Allocate a bigger amount for “Loan Repayment” in your budget. Budgeting is crucial in every OFW’s money-saving strategy. This is also why we stress the importance of keeping it flexible to make sure you can accommodate sudden expenses such as loan repayment. What should give way to accommodate additional funds for repayment of your loan? Start with negotiable expenses such as shopping or eating out. Simple lifestyle changes can make a difference in your budget. If you allocated a specific amount for savings (and we assume that you have), reduce the amount first so you can pay off existing debts. Avoid shouldering the expenses of your relatives or giving in to their demands. You’re working hard for that money. Don’t just give it away as if you are an ATM machine. Tip No. 4: Don’t fall for easy cash schemes. It’s tempting to sign up for those schemes that promise “instant cash” or “double your money after five days.” Not only you are wasting your time but also increasing the possibility of losing that money dedicated specifically for loan repayment. You are so much wiser than that. Tip No. 5: Be wise on your spending. Remittance will always be part of your budget (and so does loan repayment). If you have extra cash left, make sure you spend that money wisely. There are variety of options. 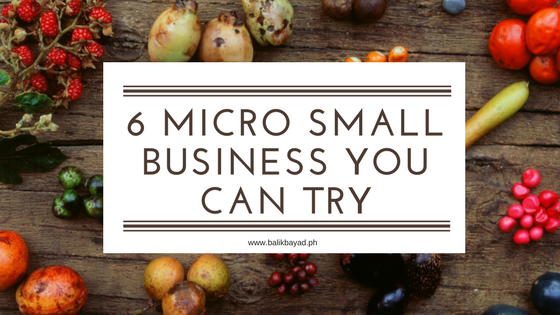 Aside from letting go of wants, you can start a micro-business for additional income, wherein the fruits of which can be used to pay off your loans. You can also invest your money through different investment products to help it grow. Once you are able to pay off your debts, you can now start the saving process. After all, you’ll never know what will happen in the future, so it’s better to be prepared. Admit it. No matter how much or how big you earn working overseas, it seems like the money you receive at the end of the month will never be enough. You will always feel responsible for all the expenses back home, which explains why you have to take an extra job to make ends meet. Here’s the thing: family expenses should NOT be your sole responsibility. Your spouse, in case you’re married, should also be helping you in managing the money you send. Your kids must also take part in helping you manage the family’s finances. One of the best things to make that happen is to make them responsible for something such as managing a small business. This is one, if not the most common business started by not just OFW families but by many Filipinos. It is simple, easy to set up and manage, and requires little capital. Your home is an ideal location, especially if you live in areas with high foot traffic or within a residential area. If there are other stores in the neighborhood, make sure to check what they are selling and how much their prices are for their goods. Doing an inventory is also a must, so you will know what items are saleable and to check if you are actually earning. If you want to skip the inventory, then this business can be good for you. People will always crave for something cool to drink, which is why opening your own palamig business is also recommended. It is easy to prepare and maintain too. Living the OFW life means Internet is crucial. You need to be constantly in touch with your family whenever you can, which is why Pisonet business is in these days. All you need is a desktop, a good Internet connection, and a small space outside your home and you’re good to go. With P20,000 (or less) capital, you can encourage your family to start a pisonet business where people can drop P1.00 for four minutes of Internet connection. Once you noticed that business is booming, you can add few more units. Cellphone load is crucial in every OFW family. Despite the availability of WiFi access these days, it is easy to reach out to their loved ones through text and phone call instead of waiting for the Internet connection. The best part is unlike other goods, cellphone load doesn’t expire, unless you already passed it on. Choose which network provider you want to focus on (or you can have all to give customers more options). Calligraphy. Painting. Crafting. Making accessories. Thanks to social media, arts and crafts is a booming business these days because it is easier to market. Take advantage of your family member’s artistic side and make money out of it. Who knows, this could lead to something bigger. This is another “easy money” business you can try with little company. Since the advent of social media, people can easily access gods and services without leaving the comfort of their homes. Grab the opportunity and put up your own online store. What should you sell? Preferably something that is not available in the Philippines. You can start with goods sold in the country where you’re working and send it back home. This will set you apart from tons of online sellers in the digital world. It doesn’t matter if the business doesn’t give you millions at the end of the year. Money earned (and saved!) is still money earned, especially if you know how to use it wisely. How can you say no to that? Do you have a medical insurance? If none, do you plan on getting one? Many OFWs are wary of getting an insurance because either they don’t see the need to get one or they just don’t understand how it works. Sadly, there is a thing called “unfortunate incident” that could send you back home – and make it harder for you to go back to work again. You can always turn to your savings, but what if you don’t have one or what you saved is not enough? In that case, you can turn to OWWA for help. Sometime September 2015, the OWWA Board of Trustees approved a program allowing Overseas Filipino Workers to receive additional medical assistance from OWWA. On June 2, 2016, OWWA and Philhealth signed a Memorandum of Agreement (MOA) implementing the Supplemental Medicinal Assistance Program for OFWs or MEDplus. This program aims to provide one-time medical or financial assistance for OFWs, thereby supplementing the benefits provided for by Philhealth. It is available to active OWWA and Philhealth members who are diagnosed with or subsequently hospitalized as a result of a dreaded disease, whether in the Philippines or in the country where you are working. This program will be implemented throughout the 18 regional offices all over the Philippines. It can be availed of by OFWs themselves or qualified dependent/s in the Philippines in case of death or OFW is still abroad. What can you get from MEDplus? The amount for financial assistance will not exceed P50,000 per member for one dreaded disease. Supplements the existing benefits of Philhealth and shall cover medical and surgical procedures for such dreaded disease. This means aside from what you can get from Philhealth, you can get an additional P50,000 medical assistance. Subsequent availment of financial assistance is allowed, as long as it doesn’t exceed the P50,000 limit and it will be used for the same dreaded disease originally applied for. How can you apply for MEDplus? Special Power of Attorney (SPA) executed by OFW if OFW is abroad and the claimant is next-of-kin. Take note of the requirement, dreaded disease. This means your condition must be categorized as a dreaded disease in order to avail of this benefit. The MEDplus can be a good way to help you augment medical bills. Still, take note that claiming this benefit may take some time. This is why it is advisable to save as much as you can to make sure you have something to rely on in case of emergency or give us a call and let’s talk about how Balikbayad can help you with your cashflow needs.